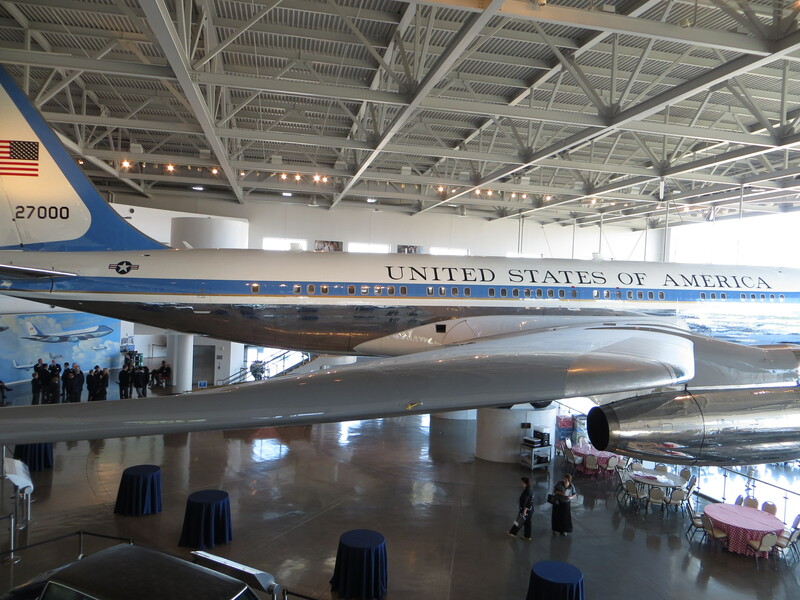 Today my mom and I took the time to travel to Simi Valley and visit the Ronald Reagan Presidential Library. It wasn’t such a bad drive out the 118 and had been something we wanted to do for awhile. My dad was out playing a round of golf and so we decided to make it happen. 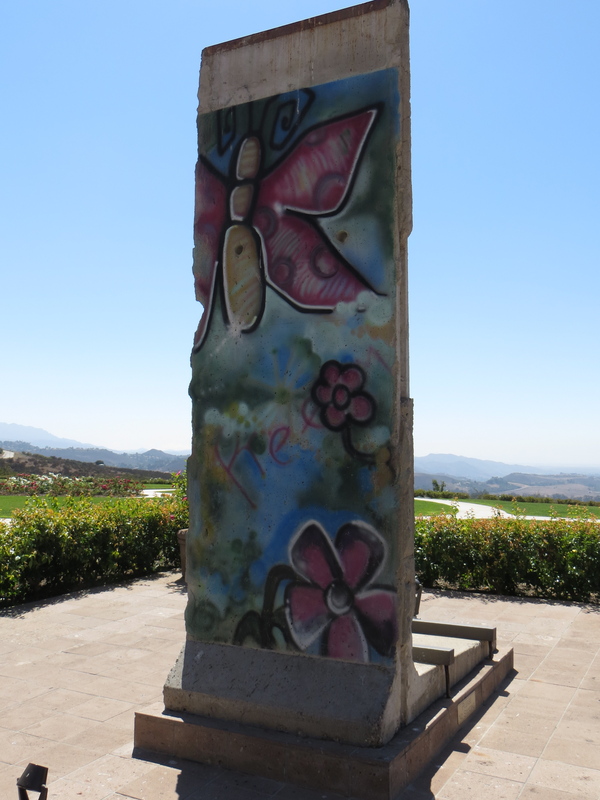 President Reagan has a mixed legacy, with some supporters emphasizing his efforts that created a more efficient and prosperous economy and a peaceful end to the Cold War. Then, there are those who criticize the effects of his economic policies such as large budget deficits that increased US national debt. 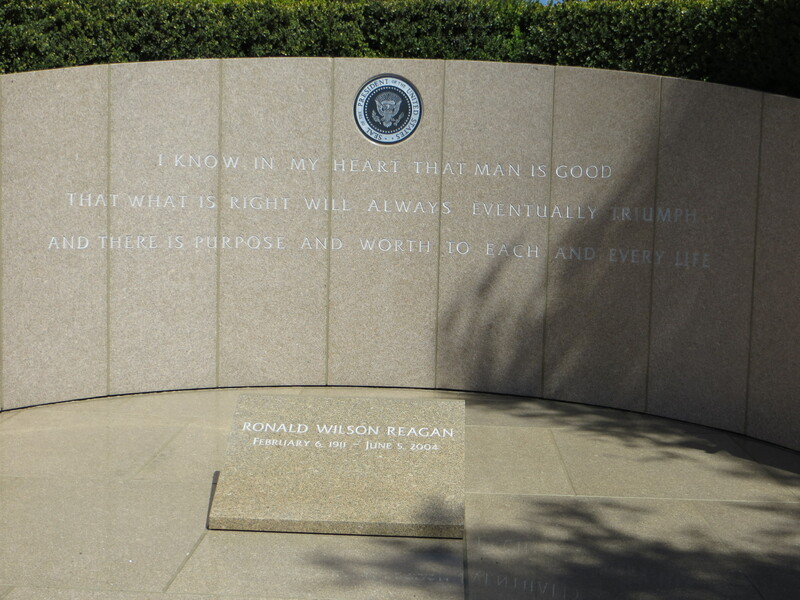 When all is said and done, Reagan was an inspirational leader, an excellent public speaker, one unique individual. 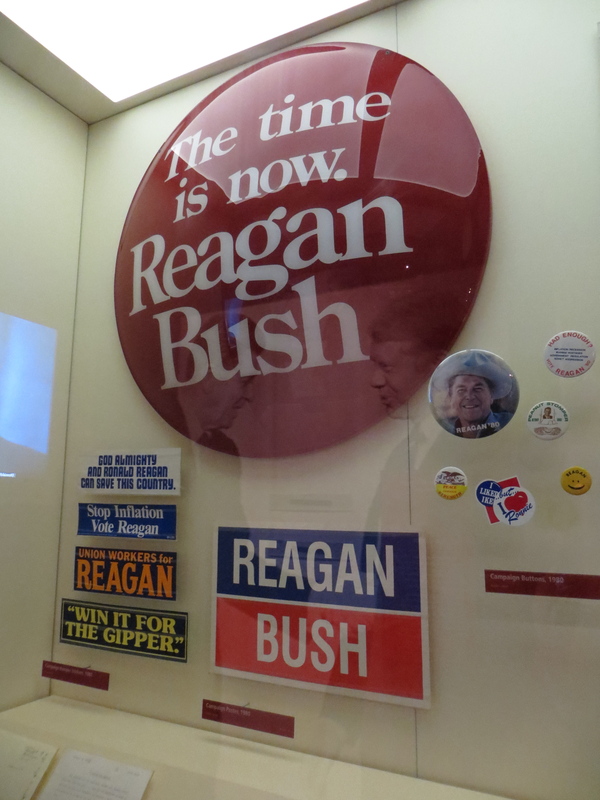 The entire museum is set in a chronological pattern of Reagan’s life and time as president. 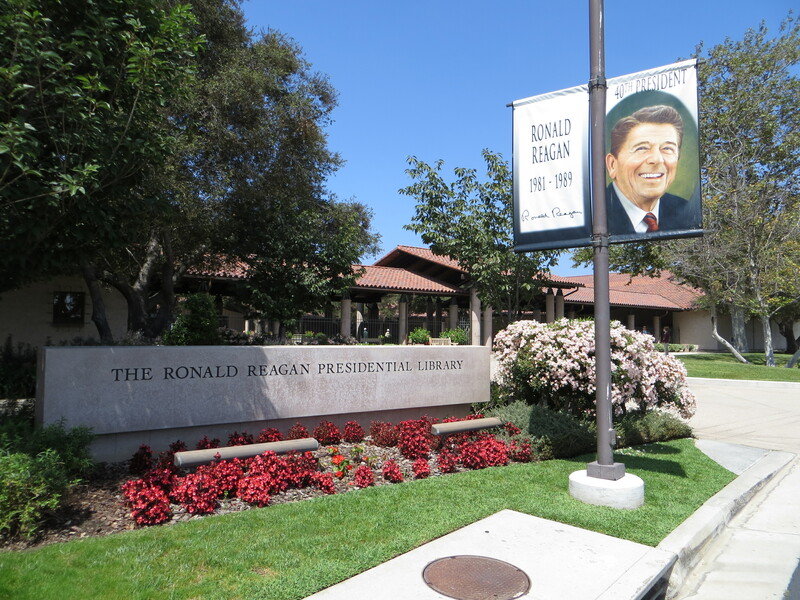 It leads visitors through Reagan’s time in Hollywood, his time as California’s governor, and the various other moments that led to his time in the White House. Did you know that he had a daily journal that he wrote in? He must have needed quite a few journals to support eight years as President. I guess in a way, we each are participating in such an activity, sharing our daily lives in a blog-version. Sure, I don’t think he participated in “What I Ate Wednesday,” but it takes a certain amount of dedication to sit down and journal (or blog) each day. We decided to purchase the tickets that contained a guided tour, which on average takes visitors about three hours to complete. 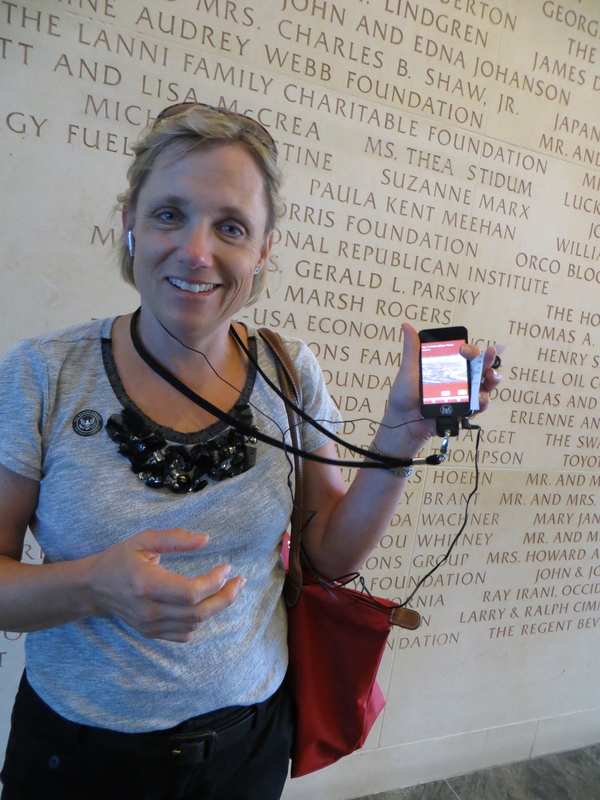 Most of the information was written on plaques, but it was also fun to have a audio version. 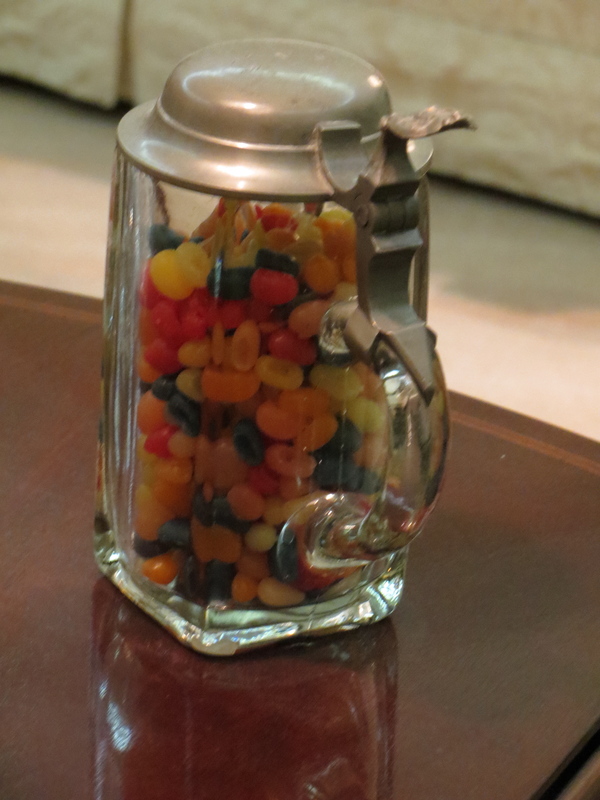 The man had such a sweet tooth, especially for Jelly Bellies and there seemed to be a jar of the fruity candy wherever he went – his office, Airforce One. You name it, there was a jar ready for munching. 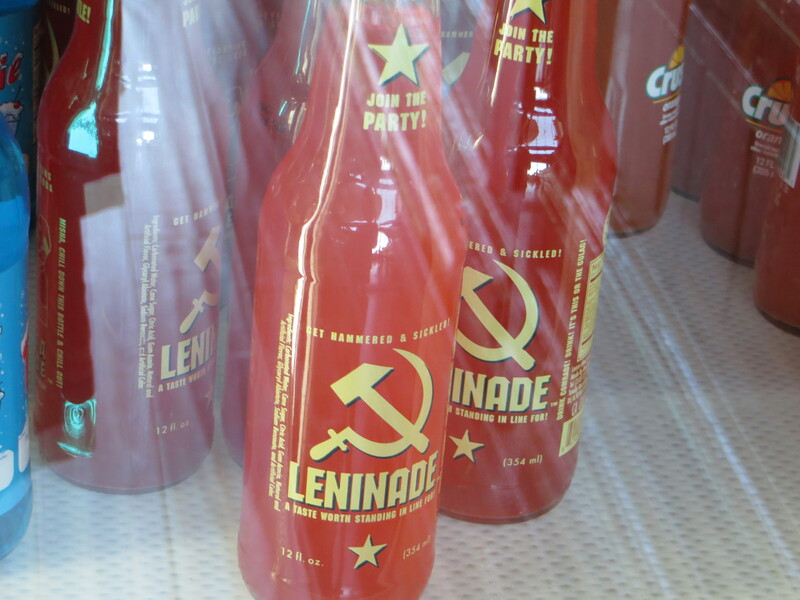 I think it is fascinating to browse the artifacts that are hosted by any historical museum. My favorite was the book of inspirational quotes. 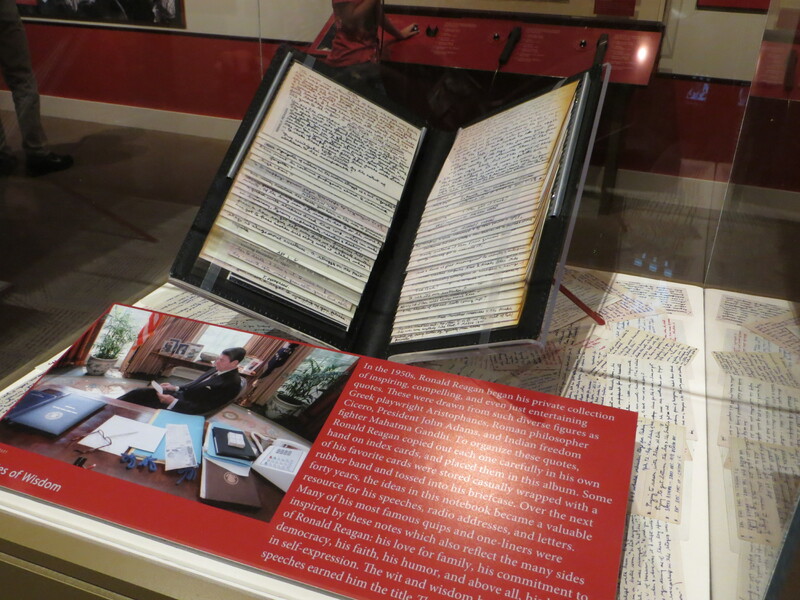 Over time, Reagan would come across quotes, which he would hand-write on an individual note card and slip into a separate notebook to potentially include in a speech later on. 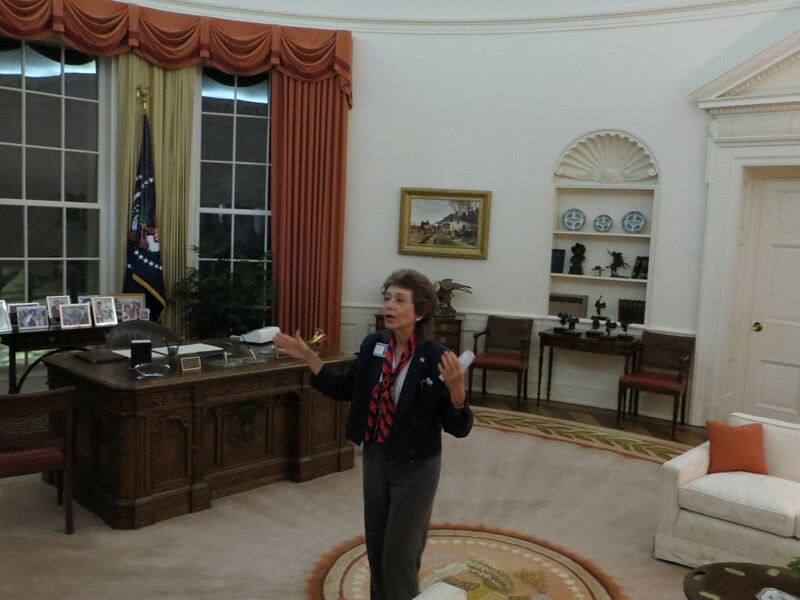 The museum also took us through the First Lady’s role in the White House and I have to hand it to Mrs. Reagan, she not only was quite the hostess, but a wonderful role model and leader as well. There was a great interactive piece that allowed visitors to catch a glimpse of the hundreds of different dinners that were hosted by Mr. and Mrs. Reagan and even included a number of dinner menus (full-course mind you). Did you know that the First Lady would spend a great deal of time planning with the staff, as well as testing each of the dishes that would be served to such honored guests? One of my favorite stories about the President was that while upon Air Force One, if it was your birthday, a chocolate cake would be served in your honor and President Reagan himself would make an appearance to sing and wish the lucky individual a happy birthday. Now, this is a tradition that had never been done before and has never been picked up since. I believe it is the small acts of kindness and small gestures such as celebrating a birthday that help the great individuals stand out from just the average ones. In terms of food, you have a couple of options. 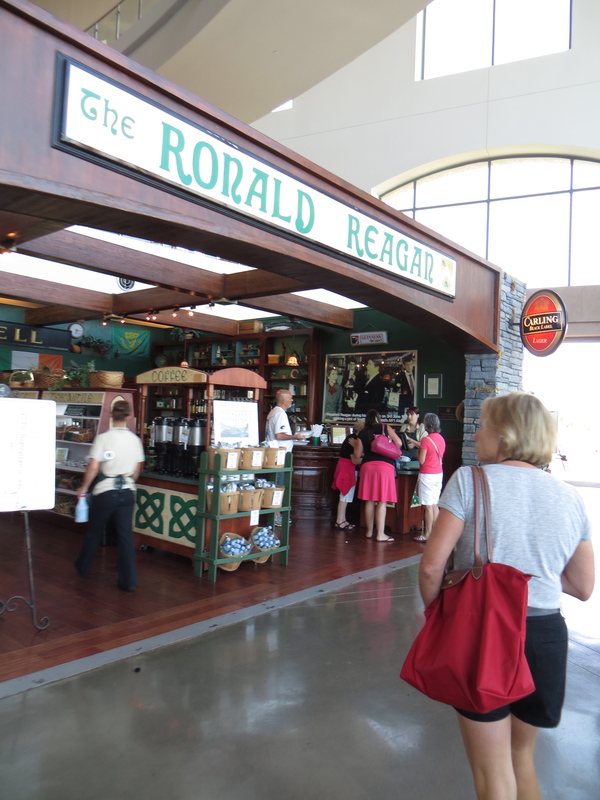 There is a snack shop called “The Ronald Reagan,” a re-creation of an Irish pub, located about two-thirds of the way through the museum. Besides some pre-made salads, sandwiches, fruit, drinks, and fudge, there isn’t much. 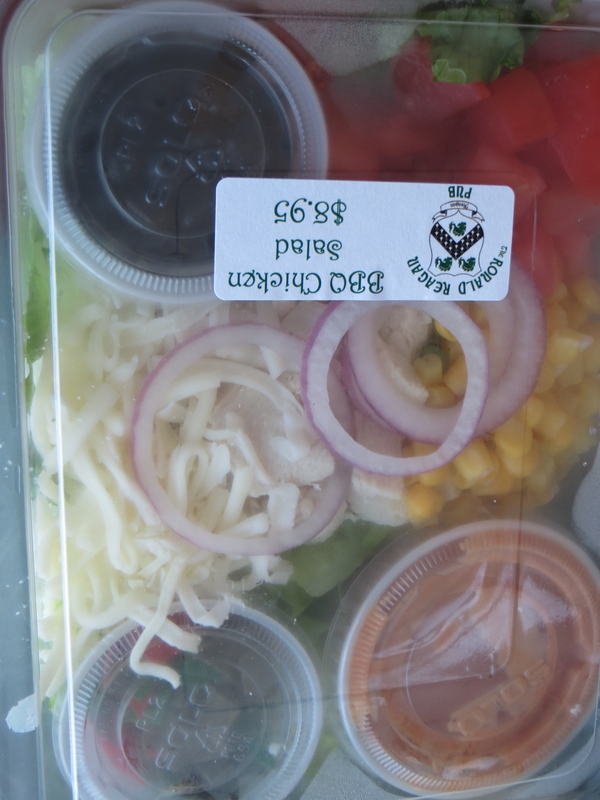 My mom and I ended up splitting one of the over-priced salads, but weren’t really satisfied. 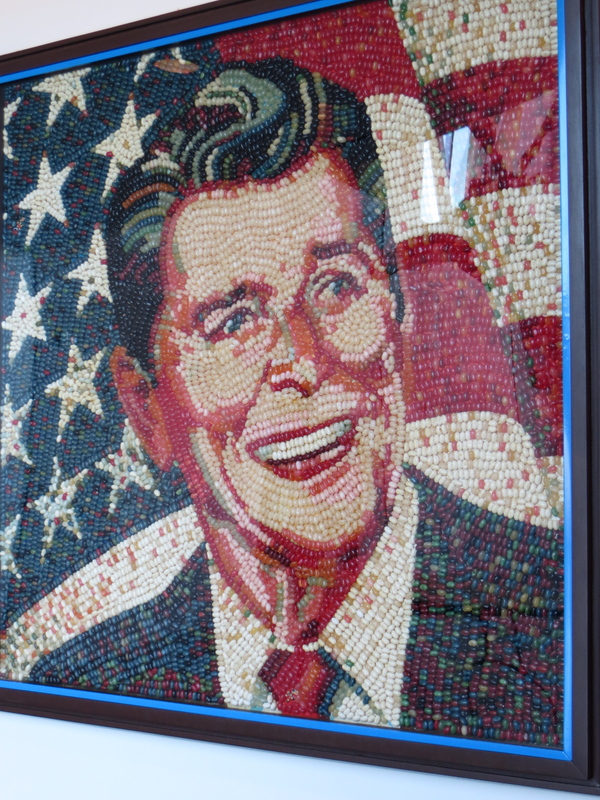 There is also a restaurant, called Reagan’s Country Cafe, which seems to have more of a fresher selection of menu items and is also open to the public, without having to enter the museum. 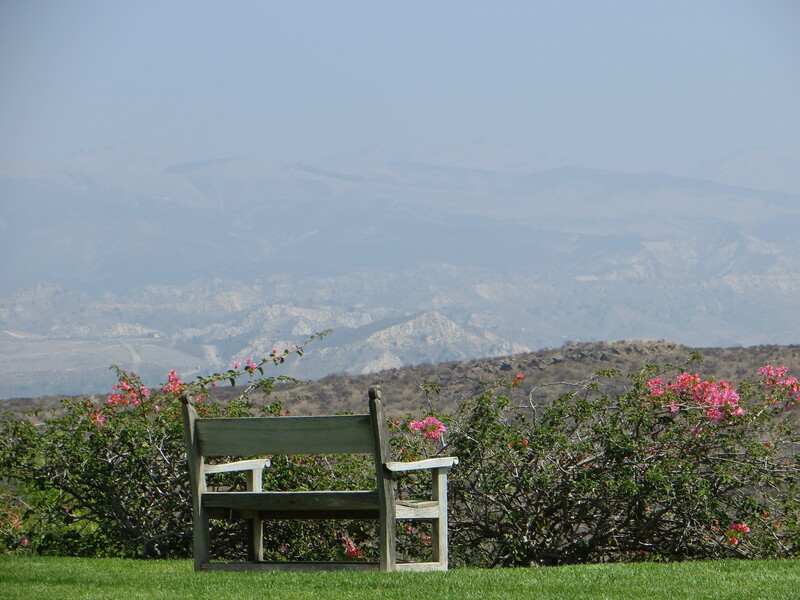 This supposedly has an excellent view of the valley out to the Pacific Ocean. Overall, I’d recommend packing a sack lunch (and/or snacks) or planning your trip around non-meal times. 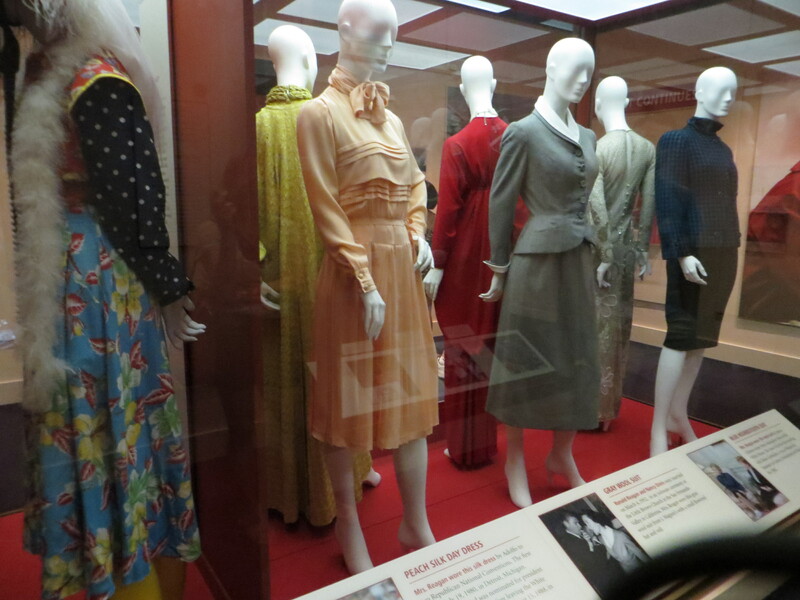 This entry was posted in Quick Trips and tagged museum by Kaitlin. Bookmark the permalink. 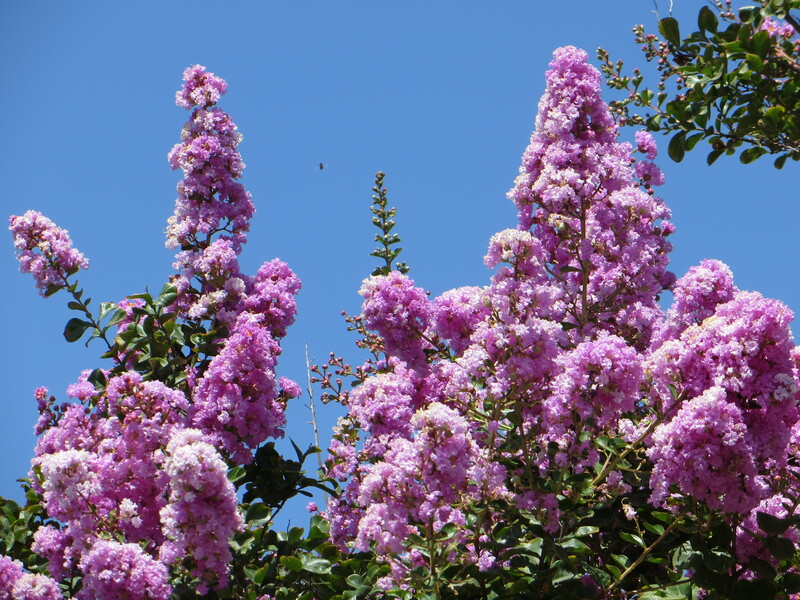 Sometimes I do feel like blogging is kind of writing in a journal! Although most of our journals are food based, it is still cool to go back and look at where we were 5 months ago. 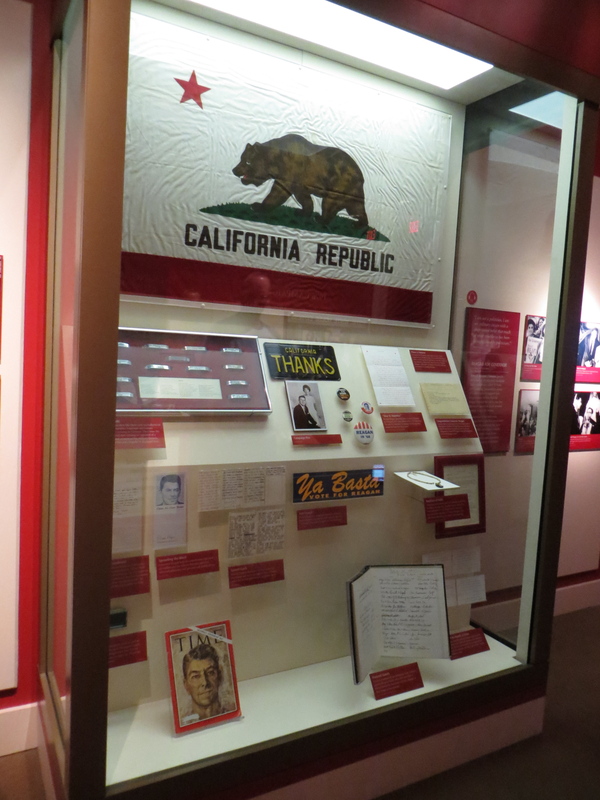 The museum looks awesome and I love how they included Nancy Reagan’s dinner menus! I must get my booty out to Simi Valley! Sometimes it’s difficult because I feel obligated to write daily but then I realize it’s not the end of the world 😉 I wrote while abroad and am so happy I did because you are totally right, looking back to see the experiences and progress made is a phenomenal feeling. I really do recommend the museum. There is so much there I simply could not express in my post. I had been there when it first opened because I was on a travel softball team but practically rushed through. 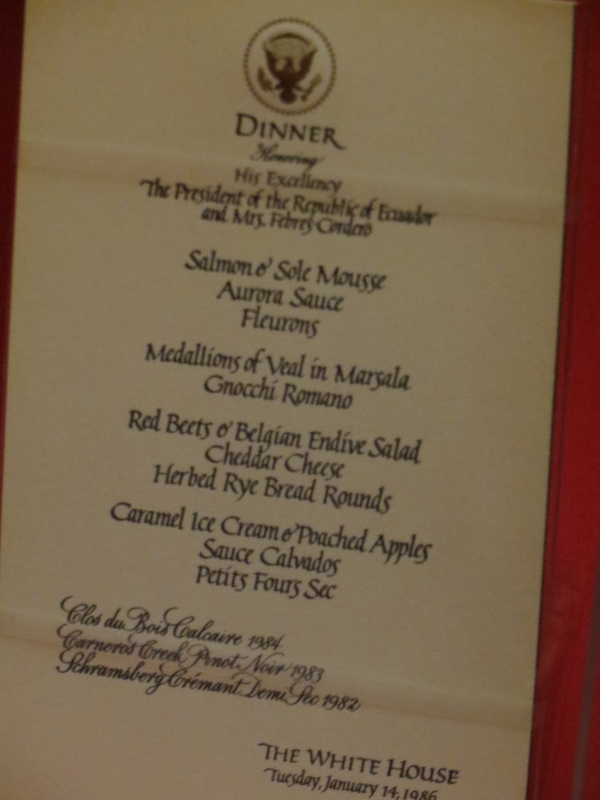 Mrs. Reagan’s menus were amazing – so gourmet and elaborate!